A handful of OS X users on Reddit are reporting a weird bug that makes Launchpad simultaneously unusable and rather beautiful. 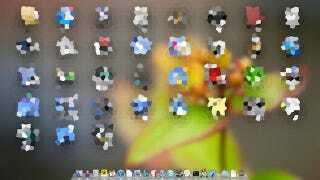 [S]omehow Launchpad is applying the crystallize effect when it should be using blur. It's a bit whacky and goes away after a bit, but it sure is spectacular.